Gloria Builders provides reliable, high-quality products and solutions such as CCTV Surveillance System, Access Control System, Fire Alarm System, Multi-Apartment Video Door Phones, Video Door Phone, Intruder Alarm Systems, Fingerprint Locks and Remote Managed Services (RAM) using web, android, IOS and Windows. 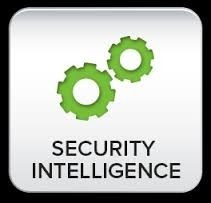 WW Security has a backup of professionals from Law enforcement agencies, Intelligence Bureau, Military Intelligence etc.. WW Security provides secured & confidential spying services to its clients. Our Investigation & intelligence gathering team has considerable experience in all areas of investigation cases, including fraud, insurance, criminal and civil law, family. Delta Sigma offers a broad range of scalable solutions and services to ensure the most effective and reliable site security. We lead our competition with a strong history as a single source for seamlessly intelligent integrating industrial security products with process control systems for greater efficiency and plant reliability. It means doing the alerted job in a clever manner succcessfully. It is the main part in a security system. Extensive training programmes have been designed to create thorough security personnels who can meet challenges both individually and as a team. Ravi Security Organisation Pvt. Ltd.